The Bug Boys: Boys Night Out! 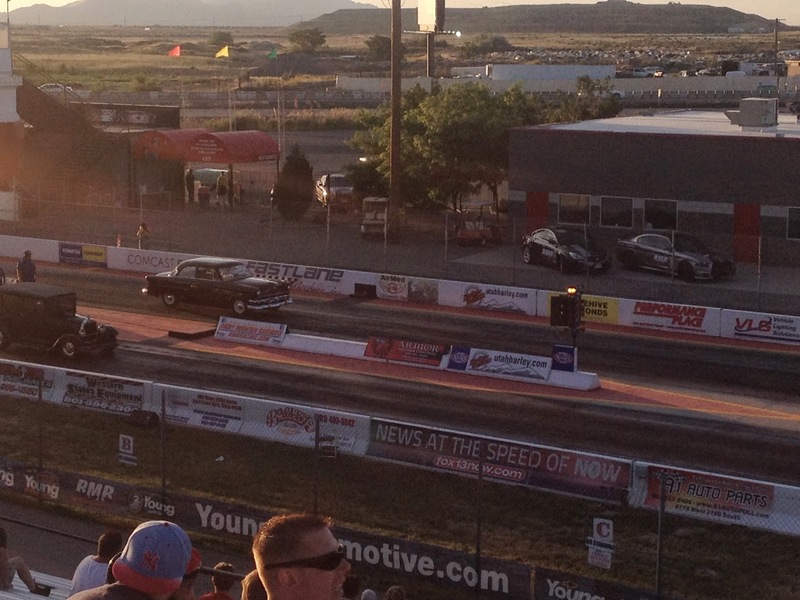 Tonight the Olson boys went to the nostalgic drags at Rocky Mountain Raceway. It was a great day with awesome weather. 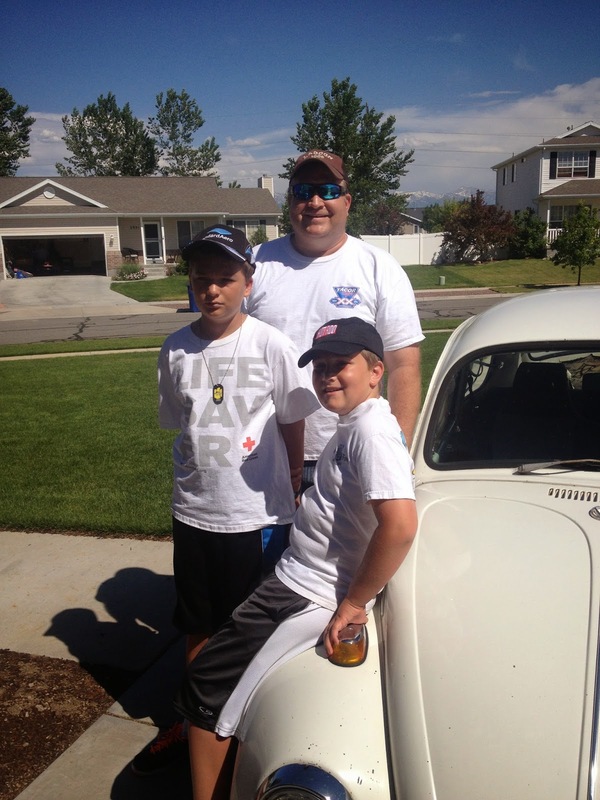 Whenever we go anywhere as "just the guys" we take the bug of course. 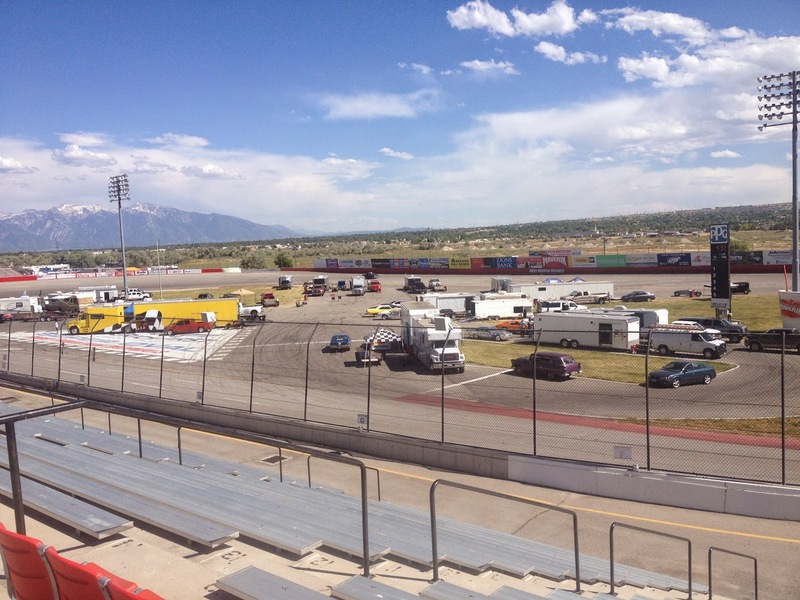 We lathered up with sun screen and drove over to the track. 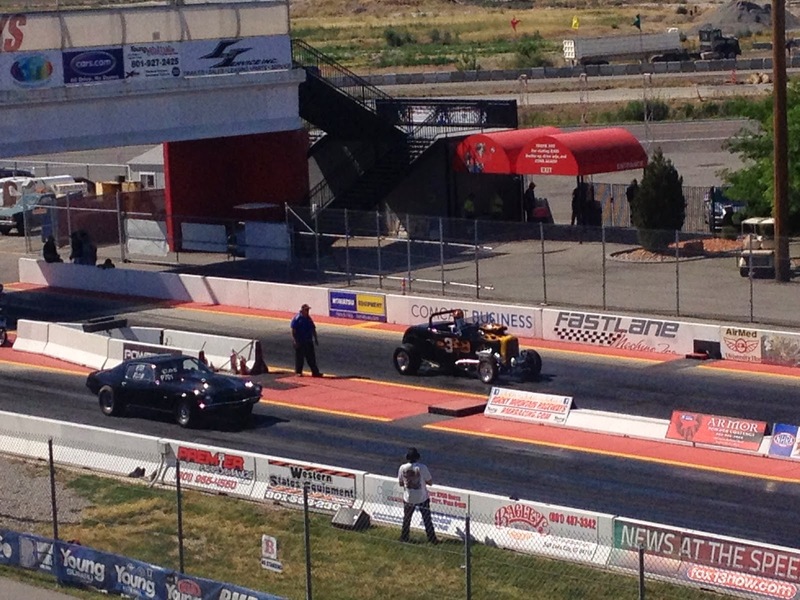 This car was doing a burnout just as we crossed the track. 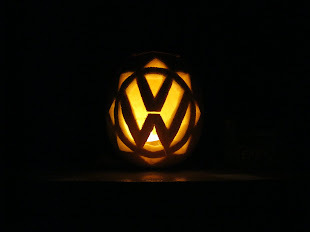 It did pretty good but ended up getting eliminated during the night. This photo is overlooking the oval track where some of the pits were located. There were a lot of really nice cars and trucks there. The Ford in the far lane was driven by a 17 year old guy. He looked like he was having a ball racing. The cool thing about this night at the drags was that all the cars or trucks had to be older then 1979. 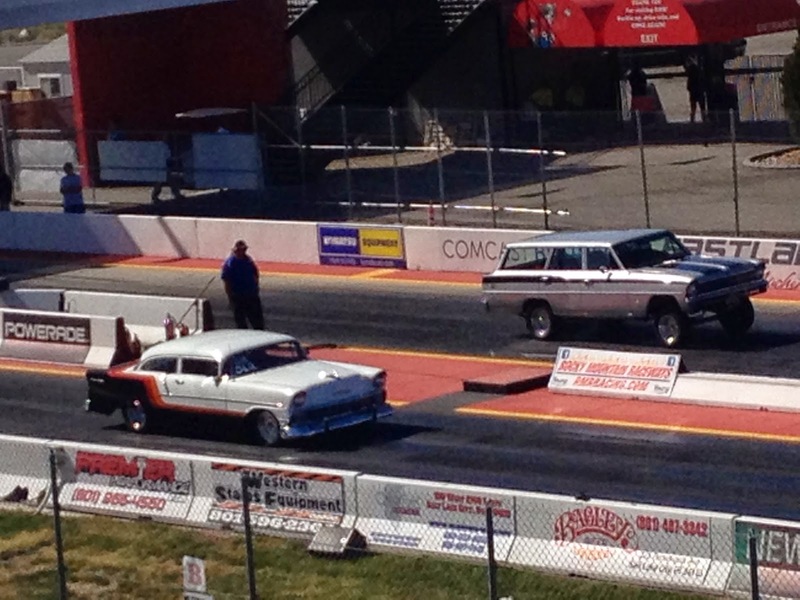 The gasser in the far lane was cool. The chopped top Chevy was cool also. Yum, track food. 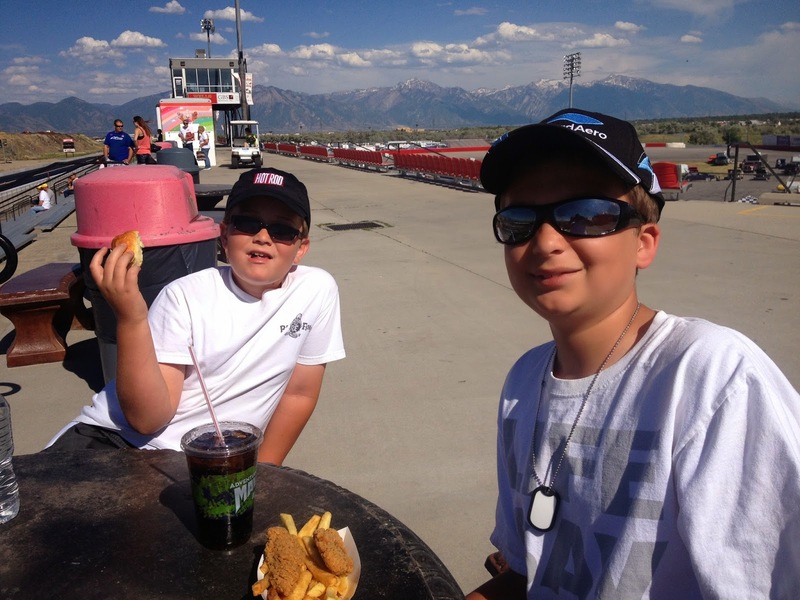 For some reason the food always tastes great at the track. Steven and Isaac wolfed it down! I took this picture to send to my Dad. We raced at this track back when I was in Junior High School and this guy was racing back then. He isn't the fastest but he's very consistent and that's what wins in bracket racing. I can't believe he is still racing. I remember being in the passenger seat with my Dad driving and racing him. His name is Brent Burrows and he had "Rusty Wrench Racing" on the side of his door. 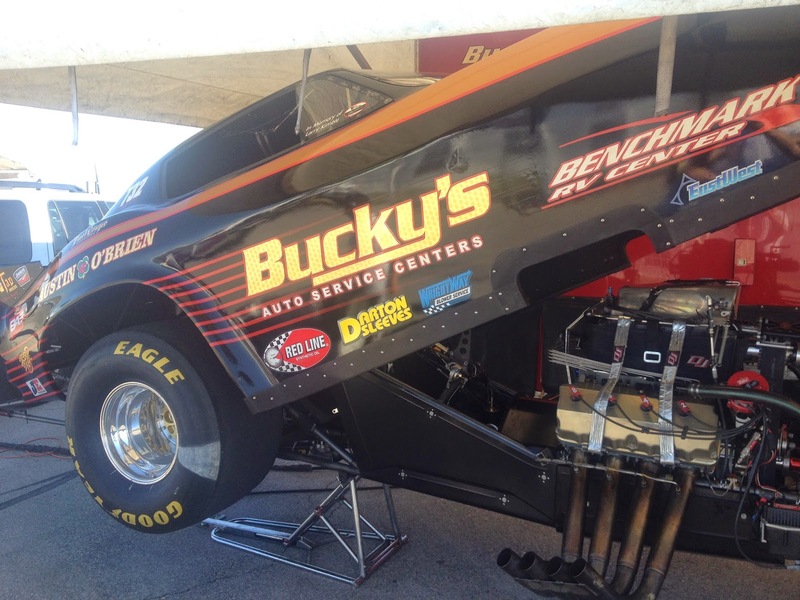 We went to the pits and saw this Nitro Funny Car. They had 7 or 8 of them that raced throughout the night. This one was one of the fastest of the night. 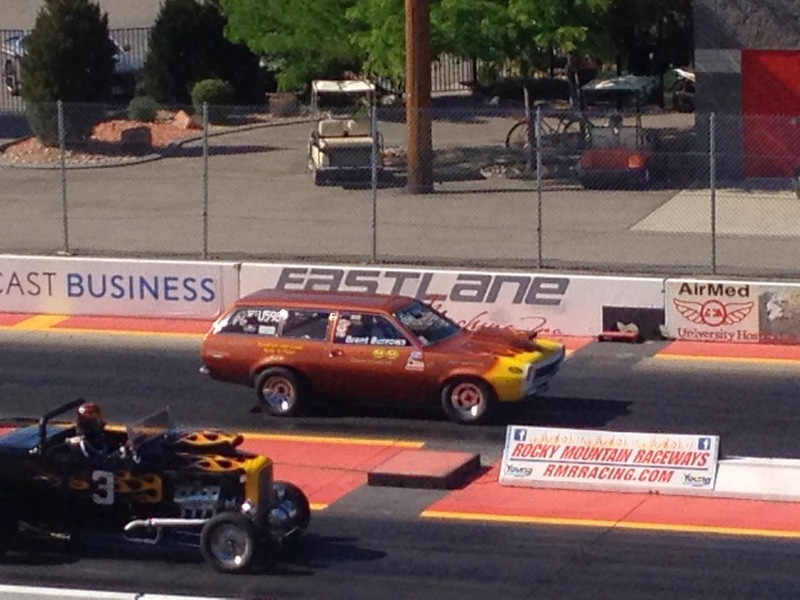 I loved seeing these old school funny cars race. 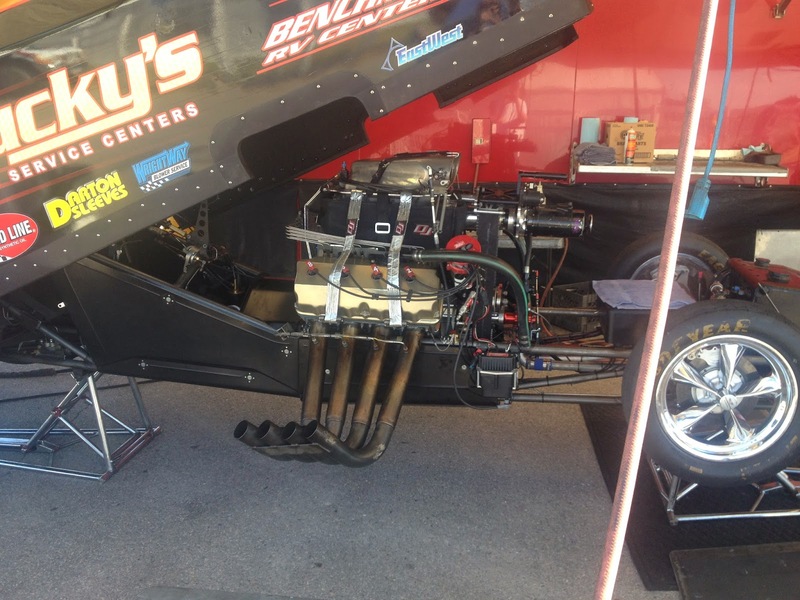 The fastest one we saw went 5.93 in the 1/4. 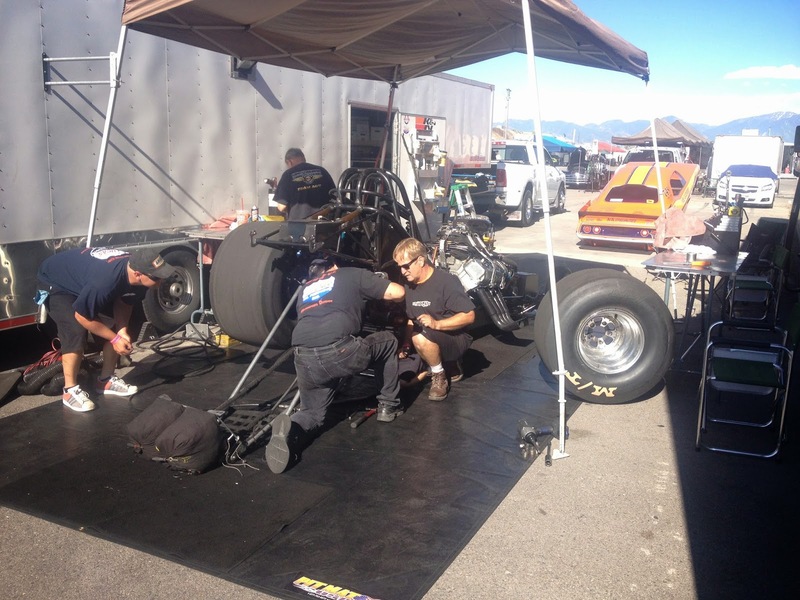 Crews were busy wrenching on their cars all over in the pits. It's nice to be able to walk right up and watch them. These guys are working on the rear brakes. 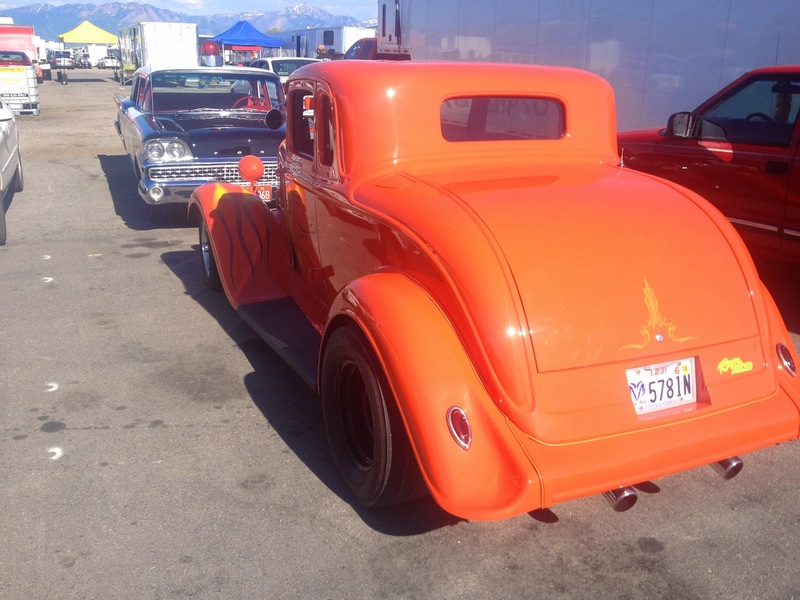 Here is a closer view of this hot rod. Isaac loved the old cop car in front of it. It's hard to take pictures of these nitro funny cars because it takes 2 hands to take a picture and I didn't have ear plugs. I sacrificed my hearing to get some shots and take some video of them. I think my ears are still ringing. They were obnoxiously loud and I loved it! 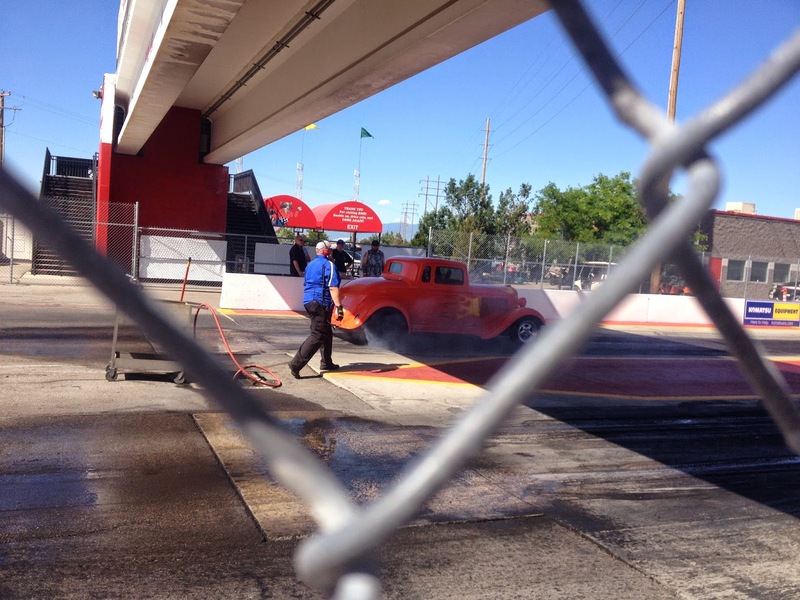 I had just as much fun watching the old cars race also. They weren't near as fast but still fun to watch. I could picture these racing back in the 50's and 60's. The parking lot was filled with a bunch of cool cars also. 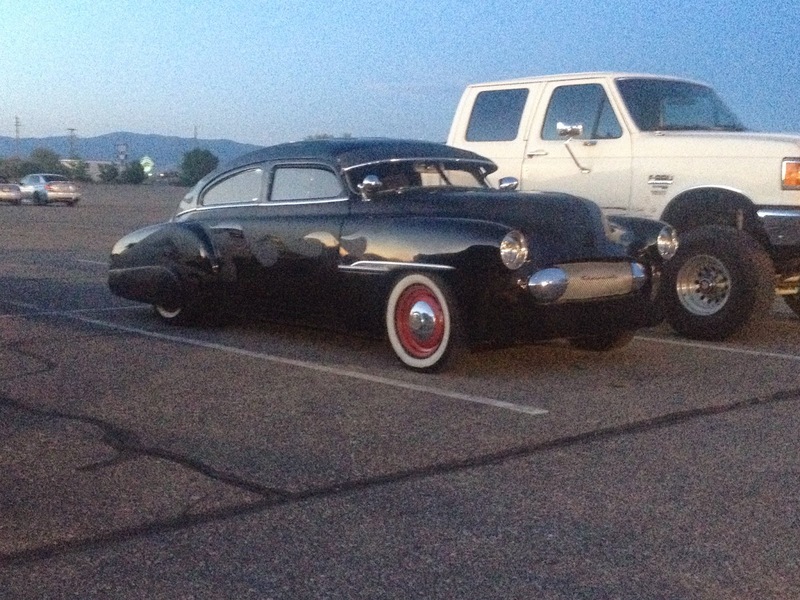 This was hands down the coolest one in the parking lot. You just gotta love those flames. I hope to build one of these customs someday. 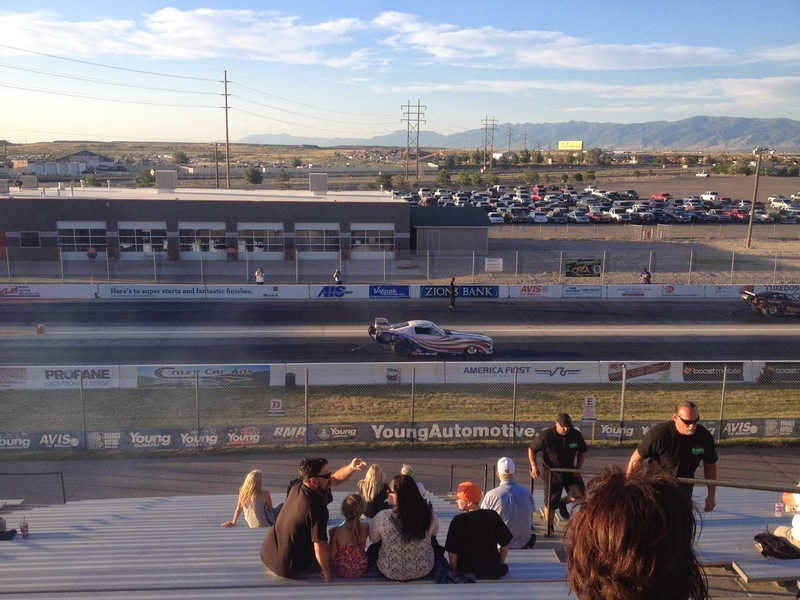 We had a blast spending the night at the drags. Steven wasn't sure he wanted to go but he didn't want to leave when the time came. Now we just have to go when they are racing on the oval track.